The all-new Women’s Signature Muscle Tee by FKN Gym Wear is one of the most popular tee’s on the market. This tee is in plain black and has the iconic FKN Signature logo on it. 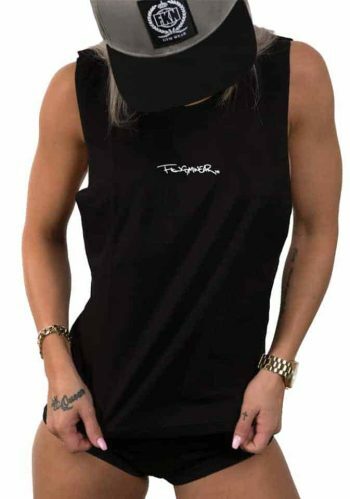 Pair this muscle tee with a pair of A2G Women’s Khaki Leggings and you will definitely look the goods. More than that, you will feel comfortable at the gym in your stylish combination.